Cleveland Park Train Crash - Harrison White, P.C. Lawyers at Harrison, White, Smith & Coggins, P.C. have helped reach a proposed $1.6 million settlement in a legal dispute over the Cleveland Park miniature train derailment. That accident killed a 6-year-old Gaffney boy and injured 28 others in March 2011. The settlement is pending approval by a Circuit Court judge. The settlement amount is $1 million more than state officials originally said could be paid under the state’s Tort Claims Act, which limits the government’s liability to $300,000 per individual and $600,000 per incident. Harrison, White, Smith & Coggins lawyer Thomas A. Killoren Jr. spoke to the Herald-Journal about the settlement. Mr. Killoren represented some of the victims and their families in a civil action filed on March 23, 2011 in the State of South Carolina Court against Spartanburg County Parks Commission, Spartanburg County, and South Carolina Department of Labor, Licensing and Regulation. The civil action was filed on behalf of Plaintiffs Timothy Brooks Harris, Tasha Harris, and their sons Timothy Jordan Harris (age 5) and Bryson Wayne Harris (age 3). The action alleged that the defendants were negligent, grossly negligent, reckless, willful and wanton. The settlement money will be paid to victims from the state’s Insurance Reserve Fund. Additional details of the settlement will remain confidential until the settlement gains court approval. It was understood from the beginning that victim compensation would not be complete due to the limitations of the Tort Claims Act. Still, the settlement promises some degree of closure to families in a lawsuit that Killoren described as “really hard” and “very emotional”. 911 tapes, videos (including footage shot on a passenger’s iPhone), and documents were presented as evidence in the crash investigation involving the miniature train named Sparkles. 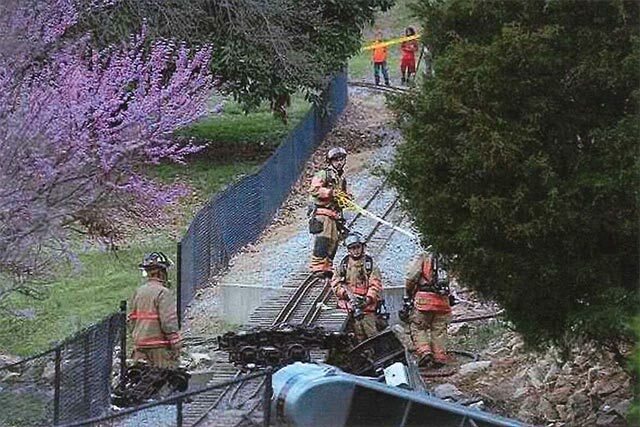 When the train derailed on March 19, 2011 passengers were thrown onto a rocky bank and into a creek. Prior to the crash, the train spent years in storage after being deemed unsafe by county officials. The derailment occurred on the train’s first run of the season with passengers onboard. An investigation by the Spartanburg County Coroner’s Office concluded that the train was operating at a speed close to three times as fast as recommended. Insufficient evidence prevented prosecutors from charging the driver of the train, but a state inspector lost his job after it was found that he falsified an inspection report in the days leading up to the crash. Rev. Dwight Easler of Corinth Baptist Church in Gaffney lost his son, Benji, in the derailment. He hopes that the lawsuit will prevent similar incidents in the future. “We expect continued changes away from the negligent processes, personnel, and policies that caused Benji’s death and the injuries of the victims,” said Easler. * Every case is different. Past results are in no way intended to imply that a similar result can be obtained in a case. But past results do indicate a firm’s experience when it comes to serious catastrophic injury and wrongful death cases.